This entry is part 6 of 6 in the series My Creative Journeys. So, in the first five parts of this blog series I talked about my main creative hobbies, but there are still a few minor creative hobbies I have that I don't do as often. I'll conclude this series by describing them a little bit. 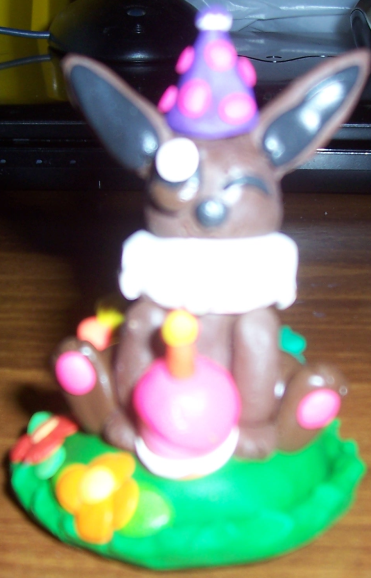 I got into clay modeling when I was eight years old, though I did make a few clay models before that. At first, my clay models were solid-colored and simple, but soon I began to make them multicolored. In November 2009 I tried new techniques that improved my clay models, and in April 2010 I finally started using toothpicks to hold them together. 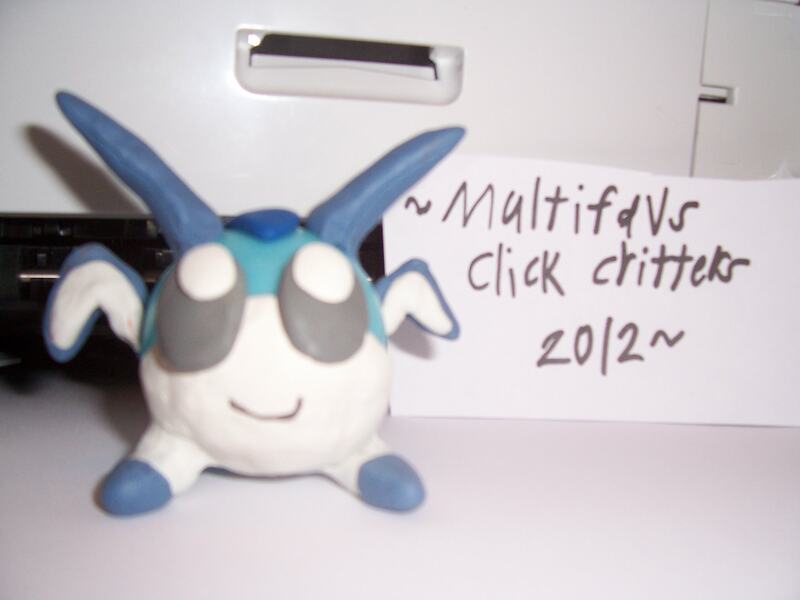 Soon after that I stopped making so many clay models and now I only make them once in a while. 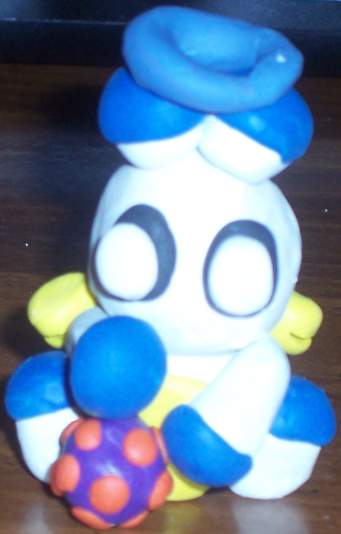 Most of my clay models are small and made using colored clay that never dries out, but I'd like to try making some with polymer clay sometime. I started singing sometimes as a hobby when I was nine, though I did sing some before that. At first I didn't mind singing in front of my parents, my brother, or my best friend at the time, but soon I became more shy and only sang when no one could hear me, which I still do. I first attempted to animate in December 2009, but I didn't make an actual GIF until a few months later. I still make animations using digital art programs once in a while. I'm no expert but I'm better than I used to be. I used to use a website to make animations that messed up the colors, but now I use one called LunaPic that doesn't hurt the quality. I first tried making some pixel art/sprites in 2011, but I wasn't very good at first. I made some more over the years that I think look better, but I'm still no expert. Sometimes I enjoy using creativity for other things, like decorating cakes/cookies/cupcakes, but I'm better at actual art. It's still fun, though! Basically, my not-so-creative hobbies include playing video games and using the computer. Still, I guess you could say they do involve some creativity; after all, I make digital art, digital music, typed stories, plushie patterns, animations, and pixel art on the computer, and I've learned many creative techniques online. Plus, I've had many creative ideas inspired by video games, and my favorite things to draw are my favorite video game characters and OCs. I even own two video games-Art Academy for Nintendo DS and Pokemon Art Academy for Nintendo 3DS-that are all about drawing! And so, those are all my creative hobbies and creative journeys! I hope you enjoyed seeing my work and progress, and the journeys still continue today! Thanks for reading! Anthony7, Lulav, Pilgrim and 1 other person like this. Multifavs, you have Multiskills. With your clay sculpting I'm reminded of Davey & Goliath, the animated Christian cartoon from yesteryear. Glory to God. Thank you Pilgrim! That cartoon is cute-the artists were very talented! God bless.